The following message just came in from Fjordman, who adds that he intends to keep a low profile in the near future. I am shocked by the hostile treatment I received at the hands of the police. Lars Hedegaard heard my story and commented that he had never known of any witness who has been treated in this manner in any Western country, except for totalitarian societies such as the Third Reich. My lawyer, who is experienced and has seen many tough cases before, did not expect anything like this to happen. He assumed this would be relatively easy, and even suggested that I might get by without a lawyer. I insisted on having one present just in case, which most likely helped a little bit. Things would have been even worse had that not been the case. My lawyer later said that in my case they operated at best at the very fringes of what could be considered legal. I was never accused of doing anything criminal, obviously because I had nothing to do with the terror attacks and they know this. Yet without the slightest hint of proof of any lawbreaking, I was treated as a murder suspect. To my total surprise I had to go to my flat, where for several hours half a dozen police officers went through all of my DVDs, searched through my old printed travel photographs from years back, searched through all of my (many) books, checked my kitchen equipment, went through all of my clothes, and confiscated a suitcase that contained nothing more than clothes and some books. They also confiscated several digital devices, including my camera and my laptop. It is quite clear that they wanted information about non-violent Islam-critical networks in Europe that they suspected might be contained in my PC, even though they denied this to me. Please remember that the police and the Police Security Service (PST) apparently had no clue who I was until I literally knocked on their door of my own free will, even though I knew full well that I would have to give up my anonymity after doing so. I had very little information about Breivik since I have never met him, something which he himself has admitted, yet I still handed over what little information I had. I also answered their questions honestly, even though, technically speaking, I did not have to do so. 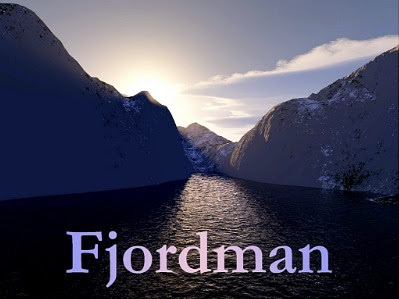 If you believe the mass media, the police were still not sure that I really was Fjordman until a couple of hours after I had turned up at the police station. As soon as they understood that this was indeed the case, they rushed through a quick decision to search my flat and confiscate my computer equipment immediately. They must have realized at this point that I had nothing at all to do with the terror attacks. I personally suspect that this was mainly a political decision.